Multicoloured Printing 1- Splitting – Make It! Create It! Learn It! If you want to make a 3D object in different colours but you don’t have access to a fancy multi-colour printer, what you can do? There are a couple of ways which I will explain in some related posts but one of the most easiest and straightforward method is splitting the file. 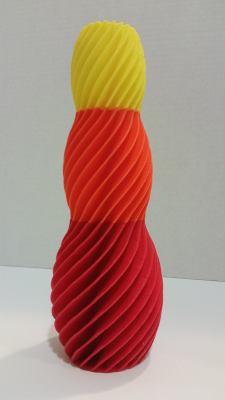 Here, you see one example: I wanted to print a big colourful vase. Big? colourful? both goals looked very difficult with a one-extruder printer like MakerBot Generation 5th but with splitting technique, I could kill two birds with one stone! (Actually I didn’t kill them, just catch them!) This is the second catch; with splitting, not only you can print in different colours, also you’re able to print objects which are larger than the printer build plate. Downloading this file (thanks to YSOFT_BE3D) from Thingivers, I used NetFabb (Basic) to split the file in three parts. We have NetFabb Basic on the Make It! laptops so you can just come to the Make It! and use the software. 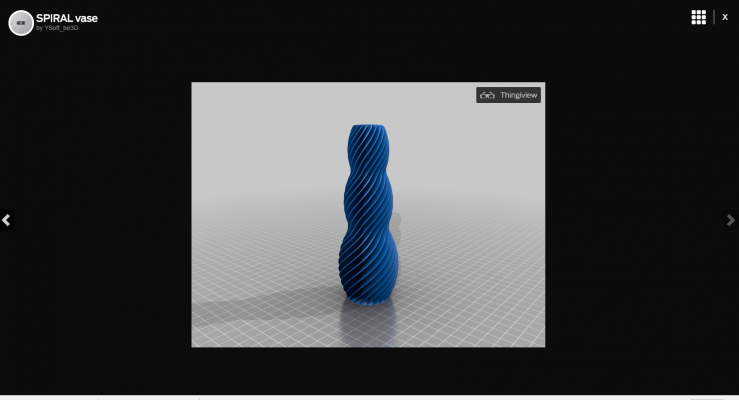 Meshmixer (which is also available in the Make It!) is another powerful option for splitting files but I found NetFabb handier for this purpose. Then printed them in 3 different print jobs and glued them to each other very carefully. Why you don’t try this technique for your designs? 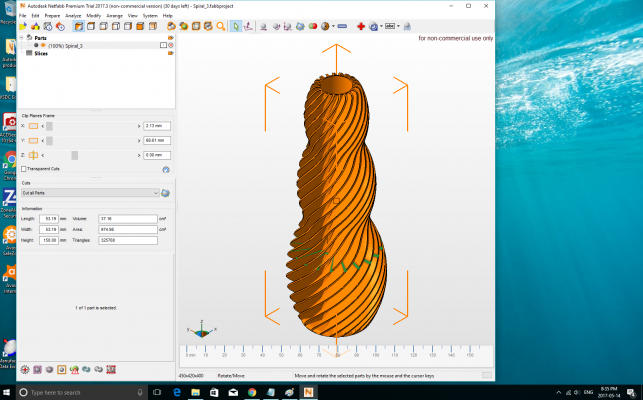 Clarification and reminder: since October 2016, NetFabb Basic hasn’t been available on the NetFabb website anymore. Users can install the premium version as the trail and after 30 days, if they don’t want to pay and keep the premium, they can continue using the software with the Basic features. Majid is the Digital Creation Specialist in PBRL and with a background in engineering, he likes to try any new technology in maker movement. With more than 20 year experience in journalism and film reviewing in Persian language, his first hobby is writing about movies, politics and philosophy; if his two wonderful kids let him do it!